This post is dedicated to all the newbie in salesforce who have just started exploring the wide arena of customization that can be done on the force.com platform. Do you often get stumbled when you see an error suddenly popping up while saving a record because of a trigger that you have written or on a recently written Visual force page? 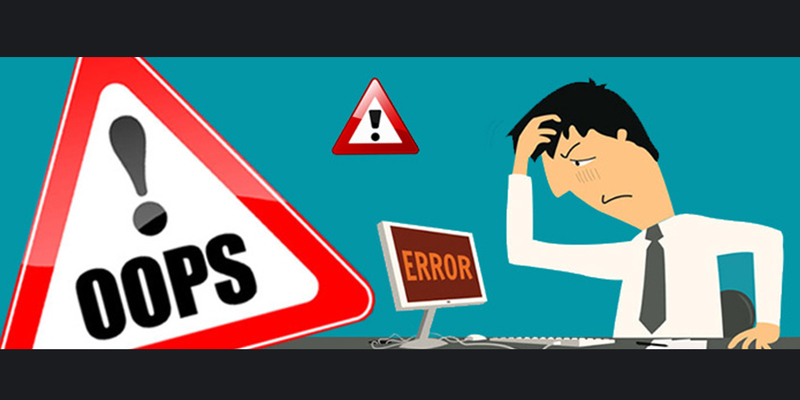 Well, it is very obvious to have errors in the code while development, especially when you are new to apex code development and not at all error messages are self explanatory to conclude to a solution. So, what do we do to resolve the error? Yes, Debug Log is the solution. I have seen most neo developers get scared in the name of Debug Log. They would do everything from Google search to post in forums but not go through the Debug Log. Debug Log redirects us to the source of the error. Once you are comfortable reading the Debug and understand the key techniques of error solving, you can analyse any error and find the root cause. In this blog, we will focus on the techniques to be used to avoid obvious errors and then how to be comfortable with the Debug log. Minimize the need to debug – Build your code hierarchically and in a modular fashion which will minimize the need to debug at the first place. Think like a Tester – Try to think through all the positive and negative use cases and document them as unit test cases to rule out any missed scenarios even before you start writing the code. Let your diagrams come out First – Get into a habit of designing your code with a carefully conceived flowchart/sequence diagrams and class diagrams representing your logic or requirement. Follow a Design Pattern – For all complex business logic, break your code into layers for ease of maintenance, easy to scale and debug. SOC (Separation of Concern) is what I recommend for Apex and Factory Pattern for Triggers which gives the flexibility to turn on/off business logic. Push out the Runtime Exceptions – Try to avoid all runtime exceptions like NullPointer, IndexOutOfBoundsException and have all the necessary validations done on the code. Do it right the first time – Last but not the least and is a very important principle. Revisit all the best practices, have that engraved in you and follow them from the very first line of code. * What is captured in a Debug Log? * How to access a Debug Log? Setup>Monitor>Logs>Debug Log – The User has to be set with the datetime range within which the transaction would be executed or else entry would not be recorded. Developer Console – Logs open in Log Inspector. Log Inspector is a context-sensitive execution viewer that shows the source of an operation, what triggered the operation, and what occurred afterward. Use this tool to inspect debug logs that include database events, Apex processing, workflow, and validation logic. Developer Console is most convenient location to locate the Debug Logs. Download Log – Option to download the detailed log file. To specify the information captured in a debug log, debug level and trace flag needs to be set for a user. Database Includes information about database activity, including every data manipulation language (DML) statement or inline SOQL or SOSL query. Workflow Includes information for workflow rules, flows, and processes, such as the rule name and the actions taken. Validation Includes information about validation rules, such as the name of the rule and whether the rule evaluated true or false. Callout Includes the request-response XML that the server is sending and receiving from an external web service. Useful when debugging issues related to using Force.com web service API calls or troubleshooting user access to external objects via an OData adapter for Salesforce Connect. Apex Code Includes information about Apex code. Can include information such as log messages generated by DML statements, inline SOQL or SOSL queries, the start and completion of any triggers, and the start and completion of any test method. Apex Profiling Includes cumulative profiling information, such as the limits for your namespace and the number of emails sent. Visualforce Includes information about Visualforce events, including serialization and deserialization of the view state or the evaluation of a formula field in a Visualforce page. System Includes information about calls to all system methods such as the System.debugmethod. Header – The header contains the following information. The version of the API used during the transaction. Execution Units – An execution unit is equivalent to a transaction. It contains everything that occurred within the transaction. EXECUTION_STARTED and EXECUTION_FINISHED delimit an execution unit. Code Units – A code unit is a discrete unit of work within a transaction. For example, a trigger is one unit of code, as is a webService method or a validation rule. CODE_UNIT_STARTED and CODE_UNIT_FINISHED delimit units of code. Units of work can embed other units of work. Log Lines – Log lines are included inside units of code and indicate which code or rules are being executed. Log lines can also be messages written to the debug log. Cumulative resource usage is logged at the end of many code units. Among these code units are triggers, executeAnonymous, batch Apex message processing, @futuremethods, Apex test methods, Apex web service methods, and Apex lead convert. Cumulative profiling information is logged once at the end of the transaction and contains information about DML invocations, expensive queries, and so on. “Expensive” queries use resources heavily. Debug logs have a limit of 2 MB and often you might hit the limit for bigger functionality. The log captures the last portion of the file. Check if you have ‘Skipped lines of code’, in case you have that the debug log is truncated. So it is necessary to set the appropriate log level. If you are only debugging Apex code, you can set all the Log Categories to ‘None’ and Apex Code to ‘Debug’. If the error still persists, there are option to set Log Level for specific Classes and Triggers and setting the entire Debug Level to ‘None’. Debug Statements should be added at strategic points to help you identify the error. You can have them at each entry and exit points and have meaningful and searchable text so that they can be easily located in the Debug. Use the ‘Execute Anonymous’ window of Developer console to run specific classes and methods within the class to reproduce the issue. In case you are not able to find the exact location of the error, follow the ‘Rule of Elimination’. Start with minimal code and keep adding the code to help you identify the exact location. Test Classes is also another great way to identify the issues with various combinations of test data.